Immortals is a game of eternal war between two worlds - the World of Twilight and the Light Realm. A re-implementation of Shogun and Wallenstein, Immortals is an area control and resource management game in which your units that die in battle reincarnate in the other realm to fight again. In order to beat the neverending war, players must be efficient in the use of their areas and resources in both realms, in order to most successfully implement their ambitions, and become Immortals. 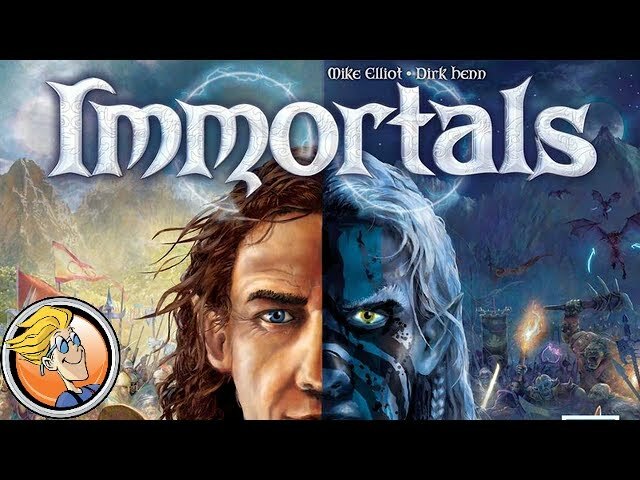 Buy Immortals to experience one of the great area control designs, updated for a new generation of gamers.